Jazz Ferguson was not someone that was on my radar a few months ago. 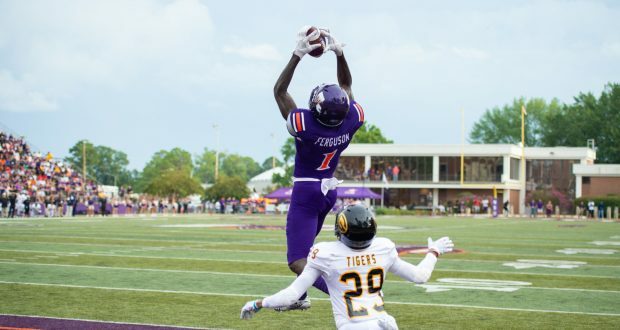 NFL Draft Insider’s Jared Tokarz brought him to my attention after announcing that the Northwestern State WR had over 25 meetings with NFL teams at the combine and received a 2nd-3rd round grade. The Ravens and Panthers were two of the most interested teams. Despite that, there seems to have been no dynasty reaction/adjustment since. Ferguson’s combine performance was certainly impressive in certain areas. 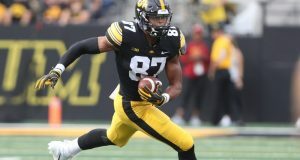 The 6’5”, 227-pound wideout ran a 4.45 40-yard dash, meaning he has 98th percentile speed score. He’s your classic height, weight, speed prospect. Unfortunately, his agility scores were very weak (8th percentile). The big man really struggles getting in and out of breaks, limiting him to long routes. Additionally, Ferguson’s breakout age was 21.6, which is less than ideal. From a physical perspective he’s quite similar to former 2nd rounder, Stephen Hill. Jazz’s road to the combine was a little messy. He was a highly touted 4-star recruit who began his college career at LSU. Ferguson failed to make any impact at all in Louisiana. He only had 17 yards in 2 years, which led to his transfer to Northwestern State. As you can see, he did absolutely nothing until his breakout 2018. I want to emphasize that I’m not a fan of what I’ve seen from Ferguson. If he truly is drafted in the 2nd or 3rd round, then the draft capital is impressive, but I’m not sure what I’m missing. If you watch a highlight reel, you’ll see him “Moss” defenders quite a lot, but that’s it. Plus, it’s against inferior opposition. His routes are just too gross. He doesn’t run routes really, just round long strides to try to get to an empty part of the field. I think an elephant with arthritis would be even smoother. There’s also a concern with drops. His hands aren’t vacuums. There are far too many times where he looks like he’s trying to catch a bar of soap. Furthermore, there are some off the field concerns. Allegedly he was pushed out of LSU due to lack of accountability and maturity. Obviously, players can mature and overcome their pasts, however we’ve heard this narrative so many times before. 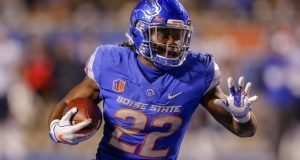 I think if he’s drafted as high as it’s being rumored, then I’d for sure be willing to take a 3rd round rookie flyer, but there’s not enough nuance to his game for me to be confident that he’ll rise up an NFL depth chart.